Over 32,900 names. Add yours. Italy, wine making and more. Italian Life, which is in English, keeps you up to date on the latest news happening in Italy. Stay on top of the news in Italy by visiting this section. You will find headlines from all over the world that focus on Italy. 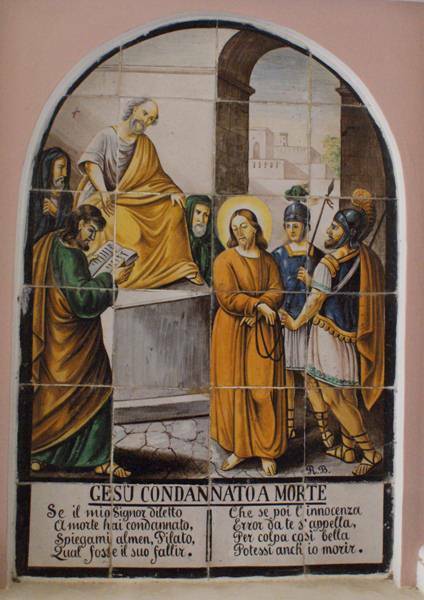 Easter in Italy is all about faith and food. Some people spend the Holy Days and Easter Sunday in Rome with nearby Vatican City as their ultimate destination. I, on the other hand, have spent the holy season in Ischia, an island off the coast of Naples in Italy that is the home of my ancestors and husband. But you don't have to go to Italy to experience an authentic Italian Easter. In my experience, this is all you need to pull it off. Located in the Montagna Spaccata in Gaeta, Italy is a passageway that some call the Stations of the Cross or Way of the Cross. This passageway is lined with 14 paintings depicting Jesus' faithful journey on what has become to be known as Good Friday many centuries ago. This photo gallery will take you station to station so you can follow Jesus on his journey. Every culture is blessed with many tales and legends. Here is a collection of folktales, legends, myths, lores and fairytales for you to read and enjoy. Where in the World are Antonio and Dante? Join Antonio and Dante as they travel the world looking for all things Italian. On each of their adventures they will give you five clues to help you figure out where they are. Do you think you will be able to figure out where they are? Many people dream of purchasing a home or property in Italy. How can we blame them? Italy is rich in history, architecture, cuisine and majestic beauty. When it comes to purchasing land in a different country you need to understand how the process works and what are some potential dangers you may encounter. This guide will help you understand what to look for and how to protect yourself when you are ready to turn that dream into a reality. To help you learn more about the cities and islands of Italy we have put together these great guides that cover a wide range of topics. These guides are great for people who are looking to travel to these places. It is also a great way to learn about the area and what it has to offer. Italian law can be very complex and when it concerns an inheritance it can get very confusing. If you do not live in Italy trying to understand the Italian legal system can be very tricky and emotional. We hope this guide will help you understand how the whole process works and what you can do to ensure that you protect your inheritance. Learn more about the regions of Italy with these illustrated guides. Topics range from traditions & culture to history & travel. Find out what events are taking place throughout the world. Although this is not a complete list of events I hope to make it a place for people to visit so they can find out about various festivals, feast days and other great events that promote Italian traditions and culture. Each segment will list the important contributions made by Italians throughout history. Will you be able to identify these great Italians? Here is your chance to test your knowledge of Italy and Italian culture by taking our trivia challenge. Whether you speak English or Spanish you can learn Italian with these helpful 30 part lesson planners. 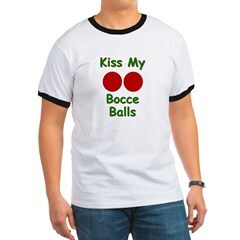 Italian themed clothing & novelties. Copyright © 2001-2019 Anthony Parente. All rights reserved.